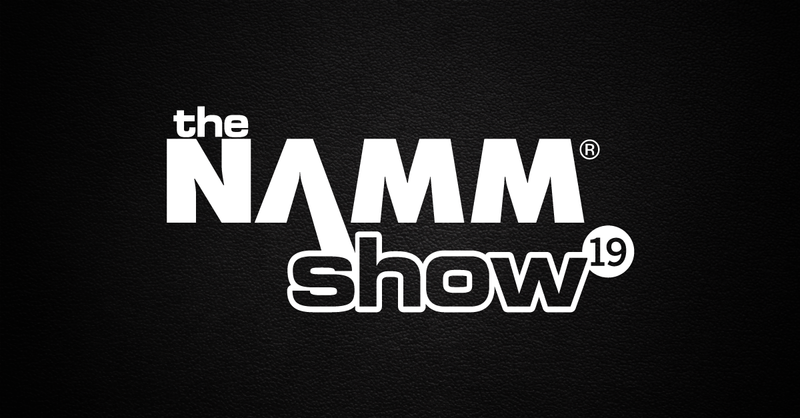 It’s January and you know what that means The NAMM Show in Anaheim California is on its way and Darkglass is getting ready to unveil a few surprises. “This year’s NAMM will be a very exciting one” says Doug Castro. “Along with two new products, we will actually have two booths”, he adds, as KORG USA is officially our distributor in that territory and we will be present in their booth as well. “It’s a bit stressful because our announcements are quite ambitious”, Doug tells us, “but I am confident that everyone will be delighted by what we have to offer!”. “I’m very excited to be performing at the Darkglass booth at Namm 2019”, adds Jeff Hughell from Six Feet Under, “I’ll be showcasing some of their amazing pedals and giving everyone a taste of the madness of my upcoming solo album!”. Jared Smith shares the feeling, “Darkglass continues to set the bar higher with every piece of gear they create and I’m excited to have the opportunity to showcase some Archspire songs with their newest releases”. “The X7 is the cornerstone of my tone for both the Abiotic and Sarah Longfield NAMM demos” says Kilian Duarte, who will also join us at the Darkglass booth and is working with some of his fellow musicians for the showcase. “Regardless of what band I am playing in, I can count on Darkglass to deliver the perfect tone and durable equipment for the road and studio” he adds, “all the equipment is built like tanks, sounds unbelievable and the artist relations are top notch”. “I can’t’ wait to see you all there” shares Jacob Umansky, “I’ll be playing material from INTERVALS, a song from the upcoming AURAS record, and a track from my new project JIA”.